You know those cold, winter days where you want nothing but a warm bowl of soup? Well today was one of those days and I made a soup recipe that I really want to share with you today. I found this recipe from Cilantro and Citronella on Pinterest (as I do most recipes haha), and it is literally SO easy. Sautéing the onions, garlic, celery, and carrots. Voila! 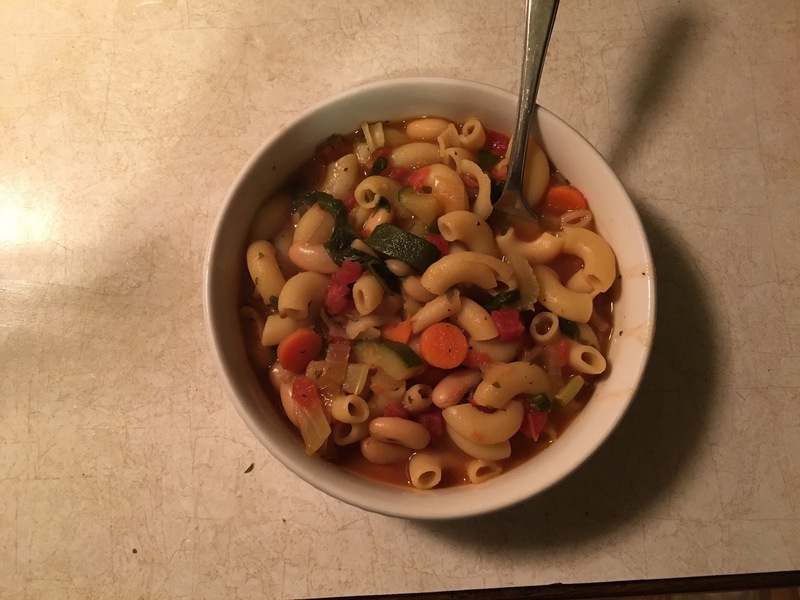 The finished delicious soup! Heat a large pot over medium-high heat and add the oil, onion, carrot and celery. Fry for a couple of minutes, stirring occasionally, until the onion is soft and transparent. Add the garlic and fry until soft, then add the zucchini and basil. Fry for another couple of minutes, stirring occasionally. Add the tomatoes and their juice and use your spoon to break them into smaller pieces. Add the beans and their liquid, spinach, vegetable stock, parsley, salt and pepper. Bring to a boil then reduce the heat to medium-low and simmer for about 15 minutes. Meanwhile in a separate pot, cook the the pasta until al dente. Drain and add the pasta to the soup. Serve immediately. *NOTE: Unless you want mushy noodles, don't add the pasta until you are ready to eat! 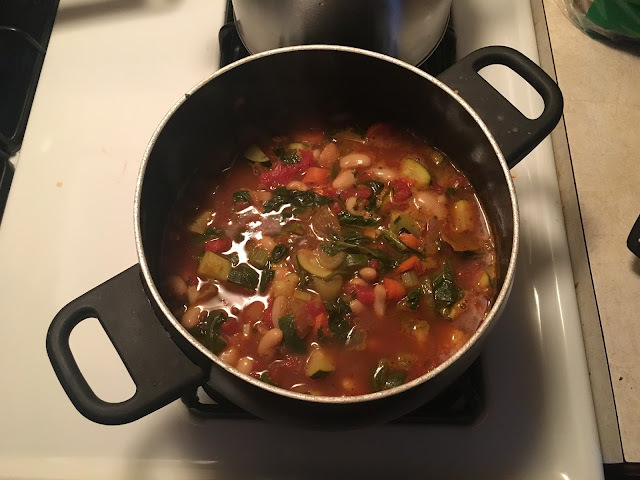 So delicious, easy, and healthy! I hope you make this recipe at home. If you do, tag me on Twitter or Instagram (@emilyciernia) with #EmilyMakesLunch.